Apparently, someone is used to getting her own way and when she doesn’t, watch out. Veruca Salt (Any Willy Wonka Fans out there?) has nothing on this Argentinian woman. 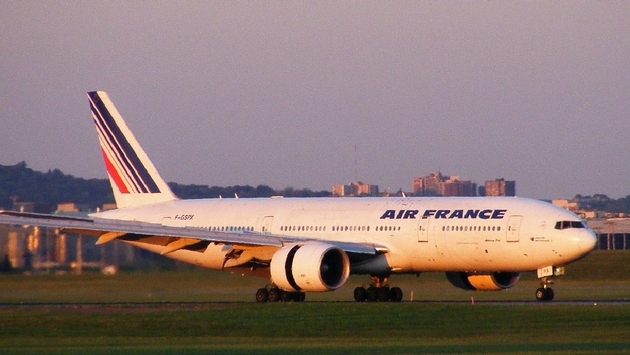 Members of an Air France flight crew, operating a flight from Paris to Buenos Aires recently, were met upon arrival in Buenos Aires, where the crew were separated, held and interrogated for six hours, after the daughter of a former Argentine justice minister and current magistrate, allegedly complained when she didn’t receive an upgrade on the flight. According to the Facebook page of Air France du Syndicat National du Personnel Navigant Commercial (SNPNC AF), the French cabin crew union that represents Air France cabin crew, the woman was booked to travel on Air France flight AF228 to Buenos Aires on October 29, 2017 and had asked for an upgrade to Business Class, however, with the cabin fully booked, the request was denied. Once in flight, the same passenger demanded to be moved due to the “inappropriate behaviour’ of the person seated next to her, although crew didn’t notice anything unusual. They complied with the request however and relocated the woman. After landing, the same passenger complained about her treatment and the crew to authorities and part of the crew were taken to the airport police station where they were held and interrogated for six hours before being released and permitted to go to their crew hotel. However, at the hotel, they were then served an injunction which required the crew to appear at Buenos Aires court the next morning at 8:30 AM. Upon arrival the next morning, the Purser was separated from the rest of the crew and allegedly forced to stand in a one square metre room for several hours without the ability to sit, eat or drink. Other crew members were interrogated for several hours not only by the judge, but by the father of the woman, who interrogated the crew in Spanish only. Angry with the treatment of his flight company’s flight crew, Air France-KLM president Jean-Marc Janaillac has referred the matter to the French Foreign Ministry, who have demanded an explanation from the Argentine authorities, according to Reuters. For its part, the union has said that it has written to Argentina's ministries of transport and foreign affairs, as well as to the Argentinian Embassy in France. “We are currently studying with our lawyers the possibilities of legal redress to obtain compensation for the préjudicie [prejudice] suffered by our colleagues and the profession," the union has said. This brings to mind the story of another self-entitled daughter, Heather Cho, the adult daughter of Korean Air chairman and CEO Cho Yang-ho. In December 2014, upon boarding a Seoul-bound Korean Airlines flight at New York JFK, Cho threw a fit, assaulted and degraded the chief flight attendant, and ordered the aircraft to return to the gate and the flight attendant removed from the aircraft. All this because she was served nuts in their original packaging in First Class, as was standard operating procedure, and not on a plate.